The Blindekuh (Blind Cow), Spielmann’s establishment in Zurich, is the world’s first dark restaurant. Not coincidentally, it is also the world’s first restaurant with an all blind waitstaff. Since its 1999 opening Spielmann has started a second Blindekuh in Basel, Switzerland. Both retain the friendliness and unpretentious atmosphere you’d expect in a restaurant opened by a clergyman. The Blindekuh serves lunch and dinner. At the Nocti Vagus in Berlin, patrons do not only experience their meal in darkness but take in a show as well. Upcoming “shows” include a jazz band, a seminar on health benefits of raw food (no one will notice if you sleep through it), a comedy act, and an “astro juggler” (which, we have to think, will either violate the restaurant’s policy on total darkness or will be rather unimpressive to witness). The Nocti Vagus has several set courses you can choose from, but in the spirit of the evening we suggest the “surprise menu”. Note: There’s also new dark restaurant chain in Germany, Unsicht Bar (Invisible Bar), with establishments in Berlin, Cologne and Hamburg. The Whale Inside (sometimes simply referred to as the “Dark Restaurant”) opened in Beijing in 2007 and has been such an overwhelming hit since that it has already expanded to Shanghai and Hong Kong. The dark’s draw here has less to do with heightening one’s pallet than it does lowering one’s social inhibitions. The restaurant is an extremely popular with couples on a first date, especially couples who met over the internet (who presumably figure that they’ve never before seen their partner in person so why should they start now?). Given the groping that’s happening in the promo video on the Whale Inside’s website homepage we can only imagine what happens when the video camera is turned off. The waitstaff here wear infrared goggles. Dinner costs ¥250 (about US$26, €28). Feb 2010 Update: Sadly, it seems this restaurant has closed since our visit. If you know otherwise please leave a comment. You wouldn’t expect a Hyatt Hotel in a place like West Hollywood to host an all-dark restaurant, yet that’s exactly where you’ll find Opaque. Other Opaques (if that’s the plural) are in San Francisco and San Diego. All three are among the world’s most expensive dark restaurants (the set meal is $99). They also emphasize the trendiness of the dining experience. After all, this is California. The CamaJe Bistro, in Greenwich Village, is unlike all the other entries on this list—the restaurant is lit and the patrons experience darkness by wear blindfolds. The blindfold method of darkness is logistically easy (when you want to go to the bathroom, for example) but since not all of the patrons, and none of the waitstaff, are blindfolded we, personally, would feel much more self-conscious here than we would in all-dark digs. Pod Krídlem Noci (“Under The Wing of the Night”), in the center of the Czech capital, is your typical ritzy restaurant during the week but serves food in total darkness on the weekend. During the “World of Darkness” times the set menu will set you back 790 CZK (US$45, €33). The most successful chain of dark restaurants to follow Spielmann’s dark dinning concept is Dans le Noir?. Yes, that’s “Dan le Noir” (In The Dark) with a question mark at the end, perhaps as an acknowledgment that one can’t be completely sure of where one is when one can’t see anything. The original Dans le Noir?, which opened in Paris in 2004, arguably offered the best culinary experience of any of the world’s dark restaurants. The popularity of the food propelled the restaurant to open branches in London, Moscow and Warsaw, with further expansion plans in the works. Most dark restaurants offer one or two set menus. At O.Noir, in downtown Montreal, patrons choose from a selection of several entrees before preceding into the pitch black dinning room. There’s a fixed price regardless of your selections: a very reasonable C$30 for lunch and C$37 for dinner. 5% of the profits are given to charities that serve the blind. Compared to the other dark restaurants we review on this page The Dark Side in Melbourne, Australia is less about trendy eating and more about fun and rowdiness. If your wanting to add a bit of fun and practical jokes into your Melbourne holiday ideas, meet your dinning companions for drinks in the normally lit Light Side Bar. Then move over to the pitch black Dark Side, where group singalongs are encouraged after dinner and the waitstaff (who have the advantage of wearing infrared goggles) like to play practical jokes on the patrons. There’s no website so call for information. 604 St Kilda Rd, tel. (03) 8530 1850. Note: The Sydney branch of the Dark Side recently closed. No word on whether the last person to vacate the restaurant was asked to turn on the lights before he left. Thanks to one of our readers, Tom, who brought Tel Aviv’s Blackout Restaurant to our attention. Blackout is part of Nalaga’at (“Do touch”), an organization that’s the world’s first and so far only theater company comprised entirely of deaf and blind actors. Theater goers often eat out prior to taking in a play. So Nalaga’at decided to open a dark restaurant served entirely by blind waitstaff. Dinner at the Blackout Restaurant happens in two seatings timed to correspond to Nalaga’at‘s theater performances. 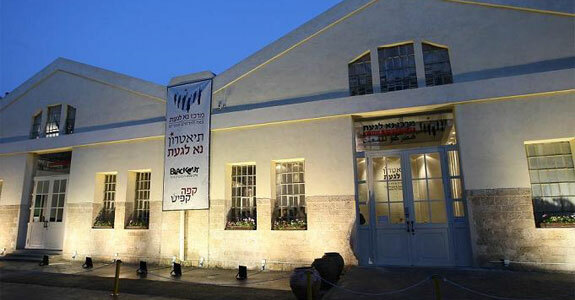 The combined cost for a theater ticket and a three-course dark restaurant meal is a mere 180 shekels (about US$43, €33). Try seeing—or not seeing—a dinner and show on Broadway at that budget. Those considered obese, however, may need to be more careful. from you. Not all are successful; instead, most of them stopped only to return to the habit even more strongly. Noire at Spectrum on One at Fairmont Dubai recently opened on September 6, 2013. 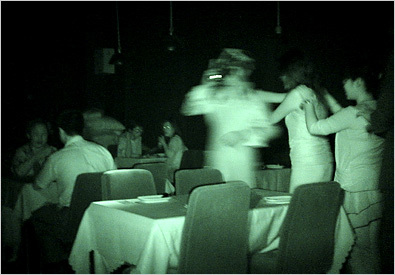 A pitch-black dining room where waiters with night vision goggles assist and serves the customer. I had recently (last week) been the The Blindekuh in Zurich in my weekend trip (I live in Milano so it’s just a 3 hour train ride). Beside the fact that it’s a different experience, I would like to warn you about tipping. I tipped the waiter with 100 Euro by mistake, lol. As for the experience, it’s of course different but for me was nothing sort of special. The foods were OK.
Hi I wish I could enjoy something like this. The dark restaurants would definitely push the senses, especially the taste, to a different level. Wish they had these in the Philippines. I just participated in the NYC Dark Dining experience last week which was featured on the cover of Edible Magazine. It is the MOST expensive at $120 per person, but it was so much fun and having entertainment also was worth it. The blindfolds weren’t bad at all you forgot you were wearing them. Sad. But thanks for the update, Peter. I’m producing a dinner in the dark event except it’s not just a dinner in the dark, it’s a full concert (myself and string quartet), a community discussion (the blind waiters take questions from the audience and we discuss about visual impaired/blind issues and celebrate gratitude), AND a dinner in the dark. It’s all done in a pitch dark room. The focus is building community so we have the audience eat family style to have to work together! Rosh, What a great idea! I think all the senses are heightened by the darkness. Listening to music in the dark of course is nothing new, but rarely done with live music! Just to add to Rosh’s comment – Rosh actually founded The Blind Cafe as a pop-up event which means they service over 5 different states through out the year. Its spectacular! I attended the San Francisco show and it changed my world. They start off with a very grounding meet and greet accompanied with Wine and Dark chocolate before leading you into the darkness (no blind folds, which really adds to the mystery). This event raises awareness for the blind, with a portion of the proceeds going to specified blind organizations depending on the city they are servicing. They do a beautiful job raising positive social change awareness. The ultimate goal of The Blind Cafe is to improve the quality of people’s lives by influencing how people view themselves, the community and social change through a personal and intimate experience. This will be something you will be talking about for weeks and months after its over – promise! All the waiters here were blind though, so no night vision goggles were needed. It is definitely a culinary experience, where all you have to rely on is your taste buds, and feeling for texture etc. I would love to go again, but now back in Sydney I might have to check out the Melbourne option! I would recommend this to anyone, but it can be quite confronting. Many people I invited refused to go, which I thought was a shame. All the options are foods that are prepared as a surprise. You just tell the waiter ahead of time what types of food you won’t eat and/or are allergic to (make sure to point out allergies vs. preference). Drinks are not included in the prices above. 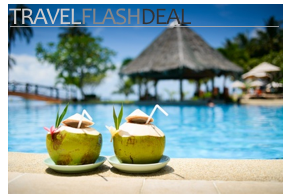 You can order specific drinks or surprise (alcoholic or non-alcoholic, per your specification) drinks. The first time I went I ordered surprise drinks and still water, so you can mix. 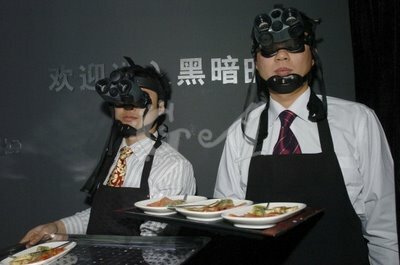 The waitstaff wear night vision goggles. At the end of dinner, when you’re lead back out, you either meet the chef (end of the night usually) or with your waiter to try and guess what you ate and drank. The waiter put us at ease right away, introducing himself in a nice room off to the side with comfortable seating. He asked if we’d ever been there before (we had) and proceeded to jot down any dislikes and allergies each of us had for food. He told us the meal options (prices for each option) and we both picked option 2 and surprise alcoholic drinks. We turned off our cell phones – the restaurant is in a basement so there’s almost no signal anyway. He lead us in, had us take a seat, and soon brought our appetizers. We both ate with our hands, ignoring the utensils. We tried to figure out what flavours and textures we were getting, which was quite fun. We each got completely different plates, which made it even more interesting. After dinner, the waiter lead us back out and back to the side room to meet with the chef. We told him what we each thought we’d eaten, he told us what we actually had, and also talked about the drinks. I’ve greatly enjoyed the experience, which is why I like to go back periodically. Although you can hear other people talking in the room you are definitely at your own table. One of the larger tables (I can only assume from the number of voices coming from that direction) had a little bell to call the waiter with, though he did come through every once in a while to check if everything was alright, deliver food, set up tables, etc – not too often though, as his night vision goggles give off a little pinprick of light. I find that after about 2 hours my eyes are starving for light and I have little sparks going off in front of me. But I also find that I greatly enjoy eating in the dark because it really makes you think about the different flavours of your food, the textures, how everything is cut (hoping for a clue, haha). Again, greatly enjoyable. And the nice thing is, if you go with someone who finds the dark too oppressive (this will pretty much happen to them right away), the waiters make no issues about leading you back out immediately to decrease anxiety – and no issues about canceling the reservation (this happened to one of my friends when we went). Sorry for the long post! But hopefully lots of useful info! What a brilliant comment!! Thanks so much for sharing your experience. Please consider yourself an honorary Spot Cool Stuff-er. I just returned from a vacation in Amsterdam. On the last night we dined at CTaste. AMAZING experience! The food was delicious and, as Joe mentioned, it was interesting that each of us felt we were eating something different from the others while we all had the same menu. Sight really does play a big role in how you experience food. One of the diners ate most of the meal with her fingers, while I and my sister used the silverware. And, yes, there were some empty bites. We even managed to successfully toast without breaking the wine glasses. I understand that the California blind or dark restaurants show you the menu prior to entering the dark room. That’s ashame. I feel that no knowing is a great part of the experience. Hello, just got back home to Ireland after a short visit to Poznan, Poland. While in Poznan we had dinner at ‘The Dark Restaurant’. Absolutely fantastic experience. Great food, excellent service in absolute darkness. We all had a blast. It certainly makes one intensely aware of the food’s taste and texture. After dinner we were returned to a dimly lit room which seemed brighter than the mid-day sun where we were asked to guess what we had eaten. Some of us had had the same starter, main meal or desert but had experienced it so differently we thought we had different food. I would highly recommend the experience. Thanks for the superb feedback, Joe. Ctatse is a must when in Prague! best dining experience ever, the food was amazing as well as the service from the blind waiters!! one remark about the blackout in tel aviv – the price is 140 nis (about35$) and a cheeper meal is available fo 90 nis (20$). Thanks for the clarification. The price we quoted—NIS 180—was for both dinner and the show. You could go just for dinner, but it seems to us like you’d be missing half the experience of going. It’s an awesome center and a very good restaurant. Call me crazy but I think I’d try any of these except for the NYC blindfold one. If I can’t see other people I don’t want them seeing me.